NYC, 02/21/2019, 6:00PM. Drawing for Print: Mind Fucks, Kultur Klashes, Pulp Fiction & Pulp Fact. 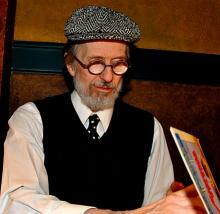 An exhibition that examines the mind and career of R. Crumb, an American cartoonist and musician. His work displays a nostalgia for American folk culture of the late 19th and early 20th centuries, and satire of contemporary American culture. The exhibition will feature a wide array of printed matter culled from the artist’s archive: tear sheets of drawings and comics, taken directly from the publications where the works first appeared, as well as related ephemera. These often fragile works on paper will be installed across the walls of the gallery. Further illuminating Crumb’s practice, the show will also feature a selection of rare sketchbooks and original drawings by the artist.